A tribute to Michael Jackson and the 30th anniversary of the Bad album, performed by Maui band Redmelo at the Fuzzbox. 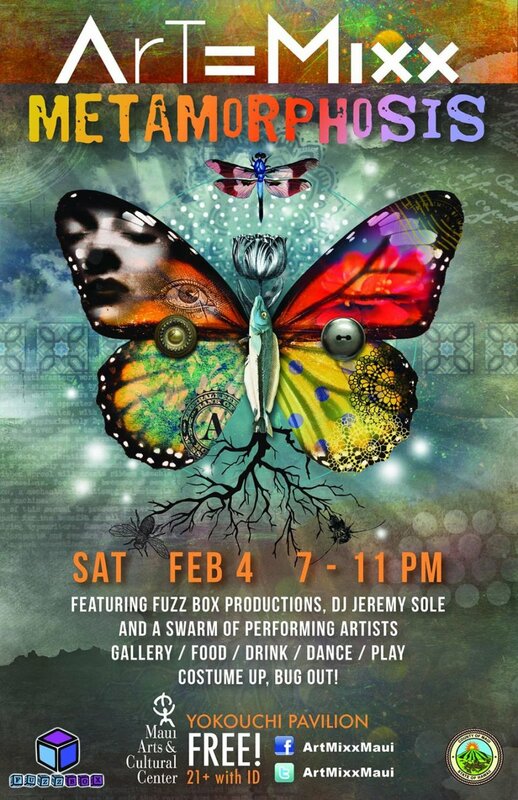 Fuzz Box Productions would like to extend a big mahalo to all those that attended Art=Mixx Metamorphosis. It was our best show yet! We would also like to thank every one of our friends who gave their hearts and their time to produce the installations, the art and the magic that was Metamorphosis. We couldn’t have done it without you!